That’s right, this is the death of Professor X. His very first death… of many, which means don’t worry too much. 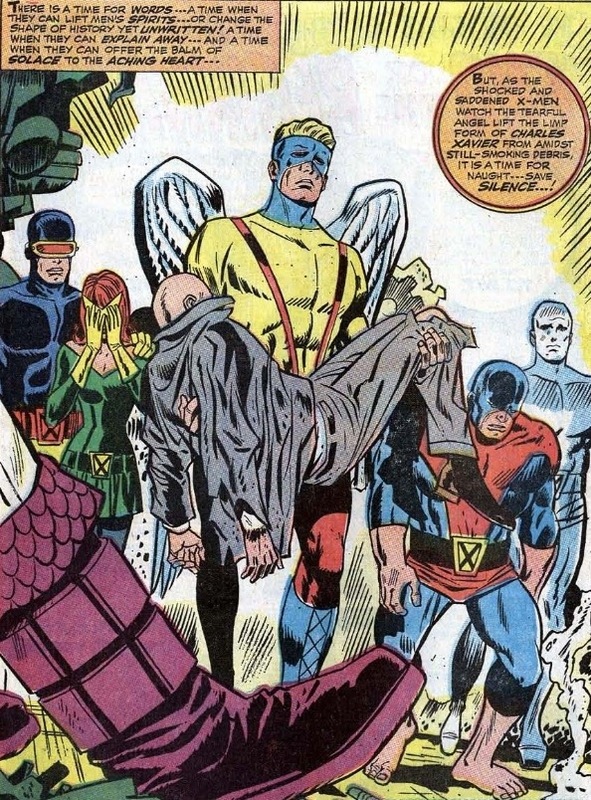 Seeing an issue promise the death of Professor X doesn’t carry the same weight that I’m sure it did back in 1968, and issue 42 is pretty quaint by today’s standards. Charles Xavier has died several times. Heck, he’s dead right now. What of it? Yet this issue must have been quite a shock back then, when Professor X was seemingly killed off permanently and without warning. At the hands of Grotesk? This seems like a high honor for such a boring monster. 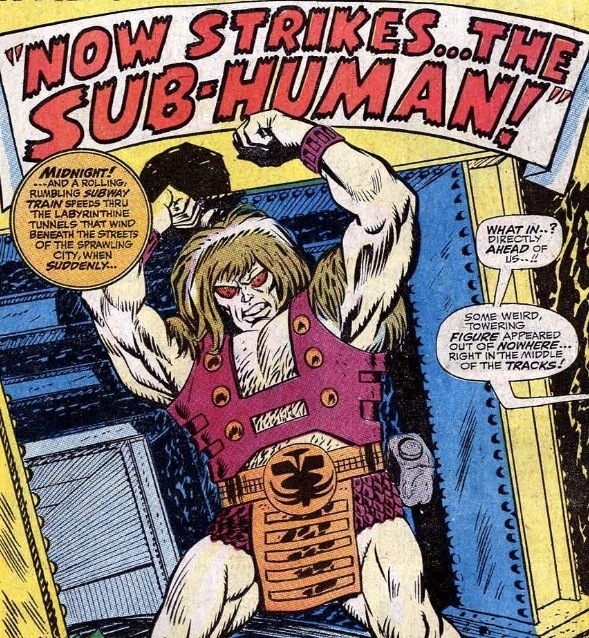 The next foe that the X-Men have to face is Grotesk, and sadly he’s another tall, lumbering, dimwitted brute. This time he’s dressed like He-Man. He’s also from beneath the Earth, and he’s the last of his race. Grotesk is on a mission to destroy the planet and taste his revenge. Will the X-Men stop him in time? Will there still be moments of senseless, self-important teenage drama? Yes and Yes!